Fenix SD11 diving light is specifically designed for underwater photography and video shooting. 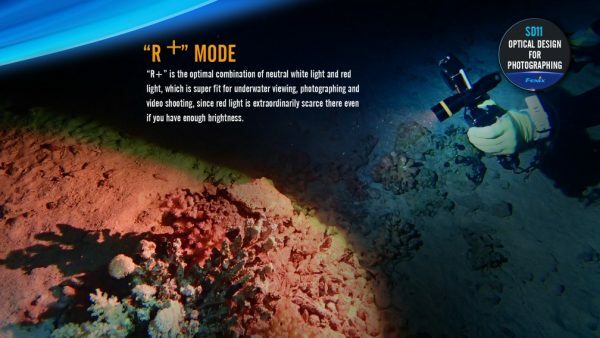 The advanced “R+” mode is made for better color rendering with a combination of neutral white LED light and red LED light. R+ mode makes the SD11 an effective light for underwater viewing, photographing, video shooting and even photography on the shore since red light is extraordinarily scarce. 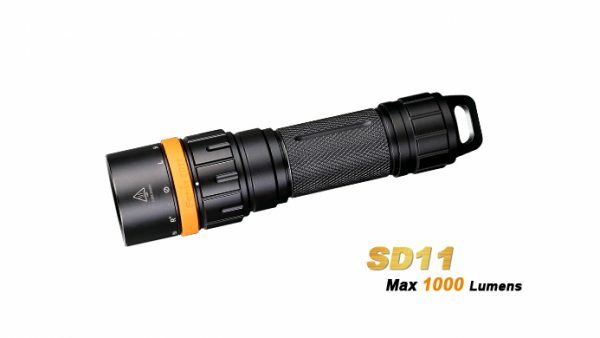 Featuring a soft wide beam and R+, SD11 is fit for both illumination and photography on shore or in water. 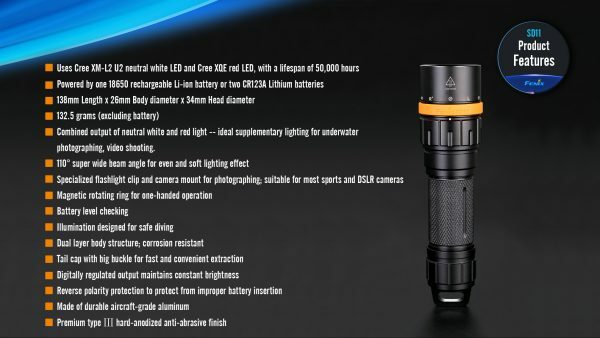 In addition, the 100m waterproof classification, maximum 1000 lumens and low battery warning makes the SD11 perfect for the demands of safe deep diving photography. 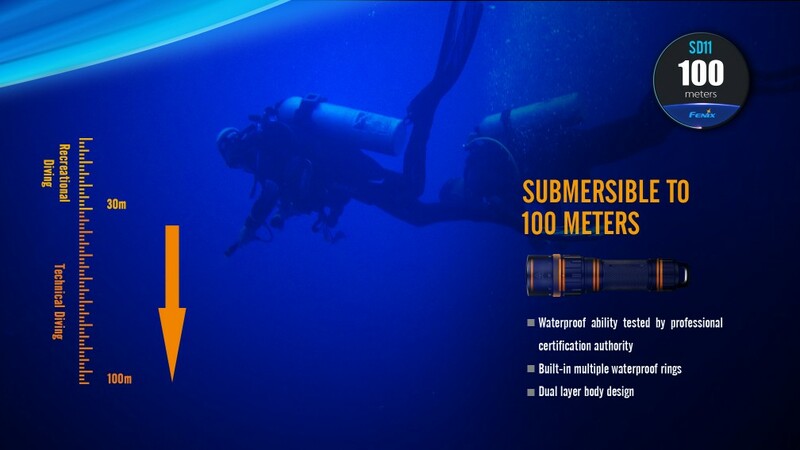 Easily choose output selection with the magnetic rotating ring while you are diving. The included flashlight clip and camera mount are compatible with most of the sports cameras and DSLRs. 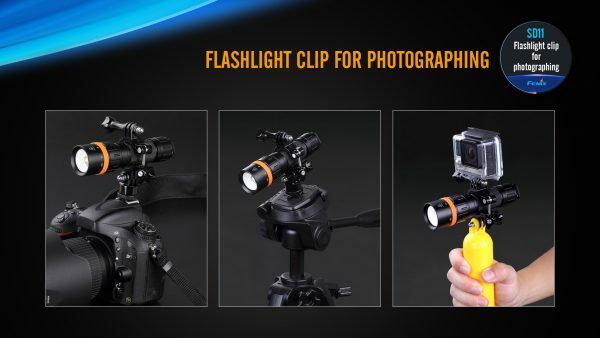 Fenix SD11 Flashlight,Flashlight clip& camera mount, Diving lanyard, Spare O-ring, Brand ring. Rotate the magnetic ring to turn on/off the light, to select the wanted output level, and to check the battery level. From left to right: Battery level, R+, Off, White low, White high. 1. If the detected voltage is lower than the preset voltage when used on High output or Low output, the output will automatically step down to prolong the runtime. 2. 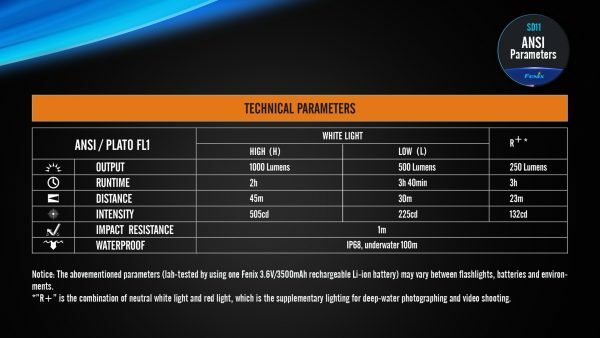 If the detected voltage is lower than the preset voltage when used on the combination light mode, the red light will go out and the white light will automatically step down, thus to remind of battery replacement as soon as possible. 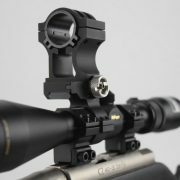 The light will accumulate a lot of heat when used at High output level for extended periods. If the light reaches a temperature of 65℃ or above, it will automatically step down by a few lumens until 700 lumens output is reached. When the temperature is reduced, the output will gradually return to High output level. Whether deep-sea exploration, hunting or observing underwater nightlife, the Fenix SD20 flashlight is built for all diving activities. 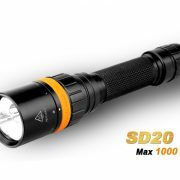 Delivering a maximum output of 1000 lumens of white light and 105 lumens of red light, the SD20 is powered by two 18650 rechargeable batteries. 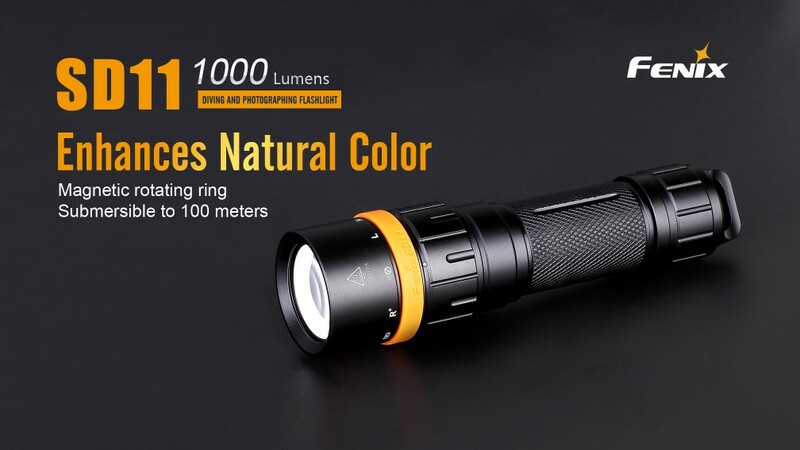 With a twist of the flashlight head, users can access three lighting modes and turn the light on and off. Equipped with a rotating magnetic ring for one-hand operation and a battery indicator light, this light offers convenience and assured illumination to divers. HP25R defines extreme versatility. 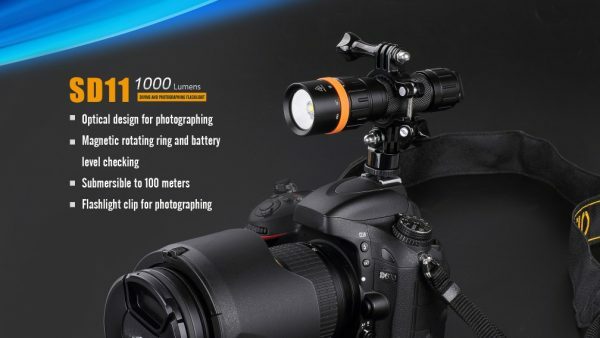 It features not only recharging capability, but also the handy combination of neutral white floodlight and far-reaching spotlight. 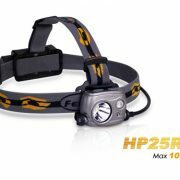 However complex the environment may be, HP25R responds with impressive performance, whether it is in hiking, camping, searching, cave exploration and more. 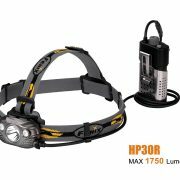 This user-friendly headlamp has a battery level indicator, and a micro USB port allows charging when your 18650 battery lets you down.